One of the most unique homes in Whistler that brings a whole lot of old world European charm could be yours. 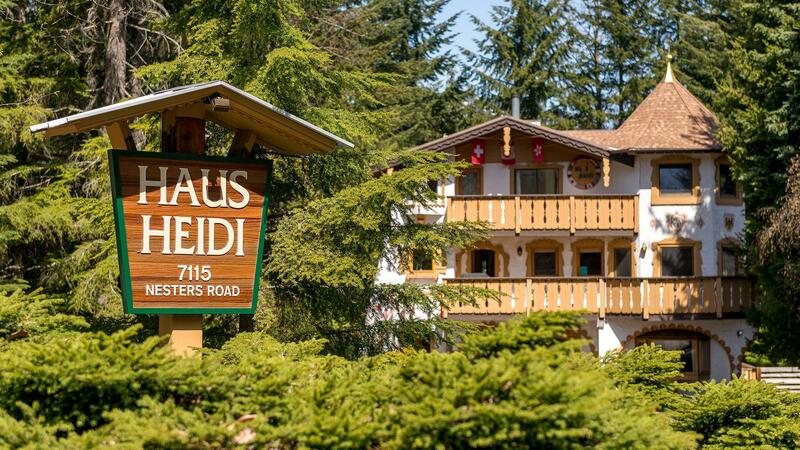 This chalet is not for everyone but those wanting to perhaps run a year round business that has live in options then come take a look at what Haus Heidi has to offer. Located in the heart of Whistler, Haus Heidi has three storeys with a roomy 4,720 square feet of living space. There are a total of eight bedrooms and eight bath and once inside you’re transported to a different place and time..and that’s what I love about it. The Pension zoning does allow for the entire house to be rented nightly, or operated as B&B. It’s up for sale right now at $5,000,000 CAD and there’s nothing that even comes close to this type of property on the market here. If you would like to know more about Haus Heidi please give Nicholas Soldan Harriss a call at 604.902.0091 to make that happen.